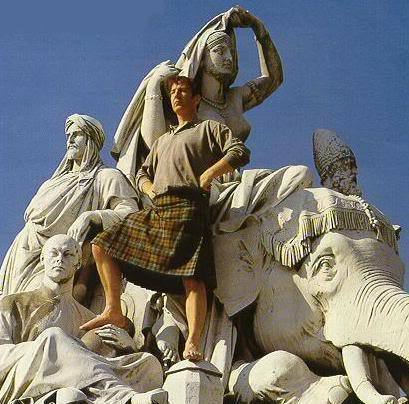 Alan in a kilt ;). LOL!!!! ;). Wallpaper and background images in the alan rickman club tagged: alan rickman rickman alan kilt. This alan rickman photo might contain fusilero, rifleman, boina verde, fuerzas especiales, soldado de élite, soldado de élite de boina verde, fuerzas especiales, lippizan, lipizzan, lippizaner, lipizanos, lipizzaner, and convention. Now that's what I call teasing...dam! This picture does beg the questions where? what? why? when? how? huh?